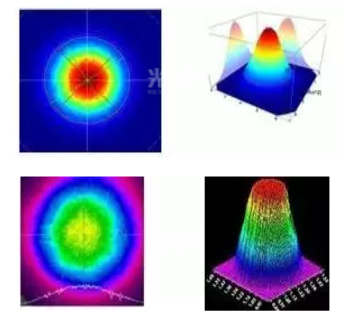 Module composition is divided into single mode and multimode fiber laser, in cutting applications, focused light spot has a great influence on the quality of cutting , single-mode laser fiber core is thinner, beam quality is better than that of multimode, energy distribution is gaussian distribution, center area has thehighest energy density , three-dimensional figure is in a shape of round mountains. The fiber core of multimode laser is thicker than that of single module, but the beam quality is a little worse compared with the single mode, the energy distribution is a little more average than single-mode light spot, the three-dimensional image looks like a inverted cup, looking from the edge of a steepness, it’s more steep than that of the single mode . 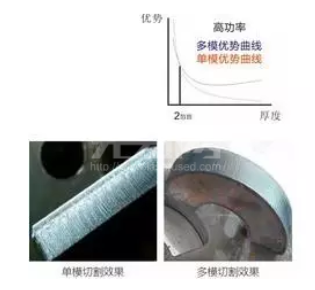 So the advantage of the single mode is in thin sheet, multimode in thick plate, there’s no value to compare the advantages of single-mode and multimode ,which as configuration of fiber laser, it is just like a car, the car is suitable for highway, SUV is for mountain, but the car also can run mountain, and SUV can also run road, so whether to choose multimode fiber laser or single mode fiber laser depends on the processing requirements of actual terminal customers. How to choose single-mode or multi-mode? From the point of power level to distinguish, laser within 1000w mainly processing thin sheet because of the energy in itself is not high, therefore, laser less than 1 kw with single mode configuration is in line with market actual situation, more than 1 kw power laser for all thickness of sheet.From the whole processing industry, the improvement of processing quality is a rigid demand, can’t compromise, so a lot of high power laser modles would not consider single mode, the processing quality must be guaranteed first! 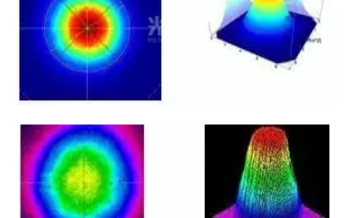 At the same time, the single mode fiber core is generally thin, in which means that the same power laser transmission, light energy of single mode fiber core carrying more,it is a test on the material .When cutting high anti-material at the same time, high intensity of reflected light and shoot laser overlay, if fiber material lack of tolerance will be very easy to cook “core”, it’s also a challenge to the life of fiber core material at the same time! So many laser manufacturers still choose multimode configuration in high power fiber laser configuration!